The band you see above, founded by political exiles in 1979 in the heart of the Sahara, started playing on homemade instruments, fought in Mu’ammar Gadhafi’s guerilla army, slowly built up an international following making few concessions to outside audiences, and just recently won a Grammy. Actually, it’s hard to imagine any greater ballers of music than this legendary, long-running outfit, whose name simply means “Deserts” in the Tuareg language. Formed in Tuareg refugee and exile camps, the core of the band is Ibrahim Ag Alhabib and the various musicians he met in camps, in the aforementioned guerilla militias, and other rebel uprisings. By the 80s they had released some tapes and had a serious following among the Tuareg people and others of the Sahara, eventually resettling in Mali. By the late 90s, they had attracted the attention of French music producers, who eventually collaborated with the band in hosting the first Festival in the Desert, which they headlined. 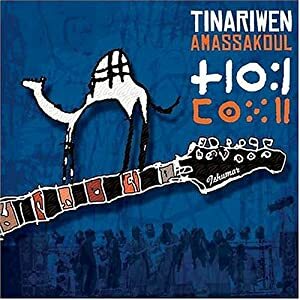 Their first international album, The Radio Tisdas Sessions, recorded at their nearby radio station, was released later that year, with their fifth album, Tassili, recorded in the open desert of Algeria and released last year. In the meantime they’ve played hundreds of shows in Europe, America, and elsewhere, including huge festivals such as Coachella and Glastonbury. They’ve also since recruited younger members into the band, keeping it an evolving, multi-generational icon of Tuareg culture. As for the music, it’s mostly guitar, hand-drum, and handclap-based, with a chorus of singers and often with an infectious driving groove and twirling melodies. Other songs are more spare, haunting arrangements, which sound as if they were meant to be performed round a campfire in the Sahara. 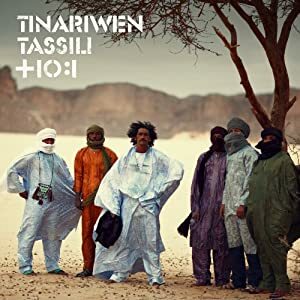 Although they perform on Western guitars, Tinariwen tune them and play them much like traditional Tuareg instruments, with melodies inspired by their folk music. The lyrics, entirely in Tuareg, are often political in nature, reflecting the band’s pasts, or are poems to the desert – if you believe the translations, anyway. 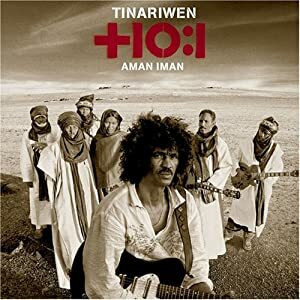 It’s said that Tinariwen discovered tapes of people like Hendrix and Led Zeppelin, who also influenced them, at least subconsciously. There’s also some similarity with the so-called “desert blues” master, the late Ali Farka Touré, also from Mali. 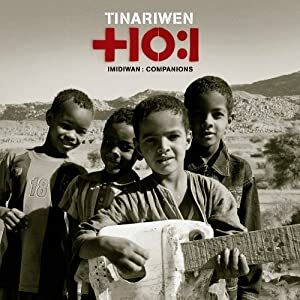 However, Tinariwen claim they had no exposure to blues before seeing the world starting in 2001 – the thought is any similarities between their music is a distant relationship tracing the ancestry of the blues to West African music. Despite all the influences, they have a truly unique, sound that cuts across all language barriers – their concert in DC two years ago was a raucous, packed affair, with what must have been nearly a dozen band members performing on stage in their desert robes, and nobody giving a damn about anything but the music. The Radio Tisdas Sessions (2001): the international debut, setting their signature sound and feel. This is the album that ended 20+ years of relative obscurity and put them on the path to global recognition. Amassakoul (“The Traveller,” 2004). Perfecting the sound pioneered on the prior album, chock full of catchy call-and-response songs and irresistible, groovy numbers. A must have. Aman Iman (“Water is Life,” 2007). Building upon the style of Amassakoul, with songs of equal quality and similar feel, but a bit more rock n’roll. Top notch stuff, and when, as I recall, the band started to really get big in Western circles. Another must have, along with its predecessor. Imidiwan (“Companions,” 2009). Recorded in a house in the desert, and produced by their first producer, this album sees a continuation of their patented sound, but perhaps just a bit more accessible to foreign audiences. Still solid as ever, proof that a winning formula need not change dramatically. Tassili (2011). Named after the desert region of Algeria it was recorded in (in a canyon, no less), this album marks an attempted to return to the band’s roots – recorded away from their home country, more acoustic, more live-sounding. 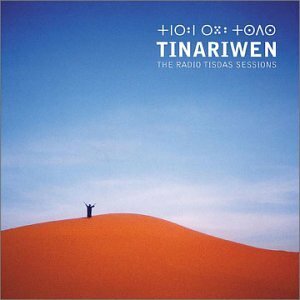 Featuring several collaborations with American musicians, this was what won Tinariwen their Best World Music Album Grammy. This entry was posted on July 23, 2012 by Hassouni Efendi. It was filed under Great Ballers, Music and was tagged with Africa, Blues, Guitar, Mali, Music, Sahara, Tinariwen, Tuareg.